Be shepherds of the flock of God that is among you, not as though you had to but of your own free will, not from motive of personal profit but freely, and not as domineering over those in your charge but proving yourselves models for the flock to imitate. -1 Peter 5:2-3, Williams Trans. These words penned centuries ago could well serve as a guide for today’s Army chaplains. Voluntary personal involvement seems to be their credo. And with critics on every side, both within and without the church structure, the task becomes even more difficult. It takes a special breed of man or woman to accept such responsibility. One Such Man. 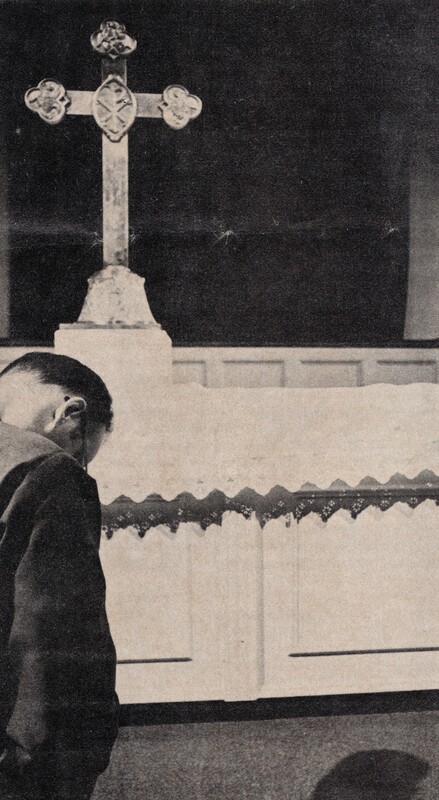 Raymond McCranie, a former airman on his way to becoming an Army chaplain, reasons: “Of all the chaplains I had met, only one seemed to actually care about people as a person whom God loved. . . . I thought about the many opportunities a chaplain would have to help people, counsel and share Christ. 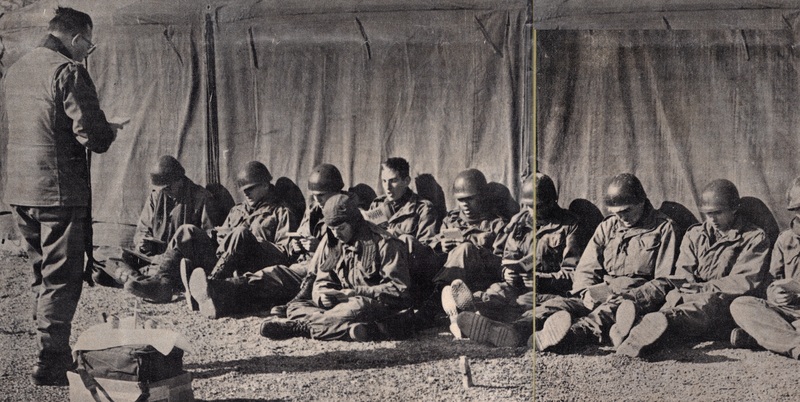 It was in this fashion that the idea of aiming for the goal of the Army chaplaincy began to take root in my mind . . . . My wife also shares this conviction. “Motives for any goal are important. I honestly had no idea what rank I would go in as. I knew nothing about the salary or any kind of program the Army or the Air Force might have . . . . After attending Fort Hamilton, N.Y., I’m convinced even more that the chaplaincy is the place for me. Not every such volunteer can or will be selected. They must first meet their own denomination’s standards for ordination and service. In addition there is the military’s criterion for commissioning in the officers corps. Educationally an equivalent of 4 years college and 3 years seminary work is a must. A few denominations are not entirely in favor of such high educational standards. 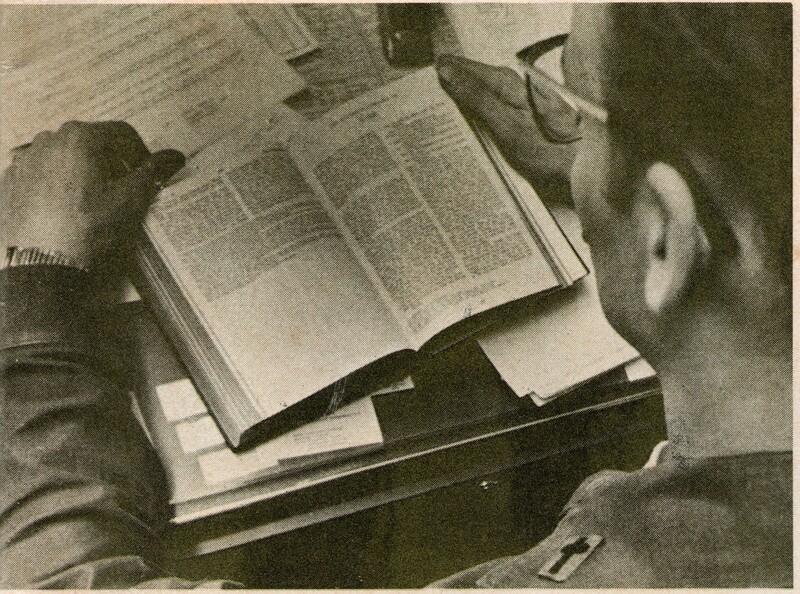 “Whereas I feel seminary can be a very fine experience for someone, I don’t feel it is any guarantee of their Christianity, their ability to minister, to truly love their fellow man,” explains Richard D. Kemp, manager of Christian Science Activities for Armed Forces Personnel. But if a church body fails to meet the military standards, the Army doesn’t arbitrarily turn its back. “We worked very hard with the Church of Jesus Christ of Latter Day Saints,” says Chaplain (Major General) Gerhardt W. Hyatt, Army chief of chaplains. “We worked it out with the Northwest regional accrediting agency, Brigham Young University and the church authorities, When informed of a person’s desire to enter the chaplaincy, colleges will tailor the course of study so it meets the hours and credits required. Actually it more than meets our qualifications,” he says. Denominations are given annual quotas based on national census figures and as the Army grows smaller so do the quotas–and the waiting lists. “In general we have waiting lists of civilian clergymen who want to volunteer for active duty,” says Chaplain (Colonel) Walter E. Casey, director of personnel and ecclesiastical relations for Department of the Army. “We do have difficulty getting Catholic chaplains. There are those who want to volunteer but due to the shortage in civil life their superiors can’t release them. But it’s a buyer’s market. We are getting quality. Minorities. Still when turning the spotlight on the broad spectrum of the Army chaplaincy, two needs stand out–the woman chaplain and the minority chaplain, especially the black. It’s easy for the Army to turn its head and say the responsibility is on the individual denominations to attract such chaplains. Still it is the soldier who suffers from lack of them. It is understandable to some extent for women entering the chaplaincy–only a few are entering the ministry. It was only recently that many denominations opened the doors to ordination for them; others may never do so. Still the Army had a woman chaplain during the Civil War and at least one denomination–Christian Science–was founded by a woman. The Catholics don’t expect women priests anytime in the foreseeable future and the Jewish faith only has one woman ordained thus far, and not in the chaplaincy. Still there are those women who are considering a military parish, unfortunately not too enthusiastically. The story is similar with black or other minority clergymen. In most denominations their numbers are few if any and in those where number is no problem, education and enthusiasm are. “Nearly every significant fact about black community and church life represents a deterrent to recruitment on either a temporary, short-term or long-term basis,” says Dr. Charles Shelby Rooks, an executive director for the Rockefeller Foundation. “The black chaplain in a so-called integrated Army is called upon to be available to whites as well as blacks in the worship setting and in counseling sessions–in short, in the whole of what he does in ministry. So he can’t completely identify himself with the overwhelming preoccupation and commitment of younger blacks with what is called black power and liberation. “The chaplaincy can’t compete with the power possibilities available to a black pastor. The black pastor is not only a pastor but a community leader . . . . And the fact is that some 90 percent of black clergy in America don’t have theological degrees or even collegiate degrees. Broad Base. The education base has been broadened. No longer is a fully accredited school necessary. Waivers can be obtained in religious groups where shortages exist. Still the problem is there. “American educational standards have developed along the lines of what the white man wants and needs,” Chaplain Hyatt explains. “More important in my mind, church worship styles are white. We expect parishioners of minority groups to find meaningful expressions in white terms. Perhaps they don’t. Chaplain’s Role. You could say that being a chaplain is like being an executive in a large corporation–if conferences and staff meetings, reports, workshops, program coordination, supply requisitioning, budgets and overall supervision were the whole ball of wax. Yet all those tasks barely scratch the surface. Actually the chaplain’s primary duties fall into three categories: ministry to the individual, to the military community, and to the military system. But first and foremost the chaplain is a clergyman, a spiritual leader, a pastor. A major part of that pastoral role, according to Chaplain Hyatt, is speaking the truth. That, he says, requires boldness, self-forgetfulness, persistence, and a willingness to be vulnerable. But will the system allow this? The chaplain must discover where the system is hurting or hurting others, identify the problem and propose solutions. Command Relationship. It should also be remembered that a chaplain’s advisory capacities are not limited solely to matters of a religious nature. At staff meetings policies concerning the entire command are discussed by all staff members–and that includes the chaplain. One of the keys to a successful ministry in the military is the reciprocity of respect which a chaplain shares with his commander. Another is his ability to use his rank. Most chaplains could care less if they had rank or not. In fact, the less visible it is the more they like it–most of the time. Rightly or wrongly, though, rank opens doors, makes some commanders more responsive, allows the chaplain to minister to fellow officers more readily, and often establishes confidence with the troubled soldier. “A chaplain bears rank not to exercise authority but to serve his people,” says Dr. Chester A. Pennington, a former chaplain. “He bears rank for others. It is an instrument by which he not commands, but serves. Rank is just one of the resources a chaplain can use to minister to the entire command. Reaching the Community. The soldier’s relationship with his family and others is important to the military community as a whole. And since these relationships are often placed under great stress, the chaplaincy is extending its ministry into this dimension of military life. One method being used to combat this problem is the Family Life Centers now established at four posts–Fort Dix, M.J.; Fort Benning, Ga.; Fort Campbell, Ky.; and Fort Ord, Calif.
“You don’t heal broken relationships in 15 minutes or even 4 hours,” says Chaplain (Captain) Lindell Anderson, who directs the center’s activities at Fort Campbell. “You take an hour a week until a person begins to relate again. Become their neighbor, their friend and then wait for them to come to you as they will. Classes at the center range from cooking and crocheting to child care and exercise. A day nursery is also available for working wives. Free for all residents, it’s operated by volunteers. 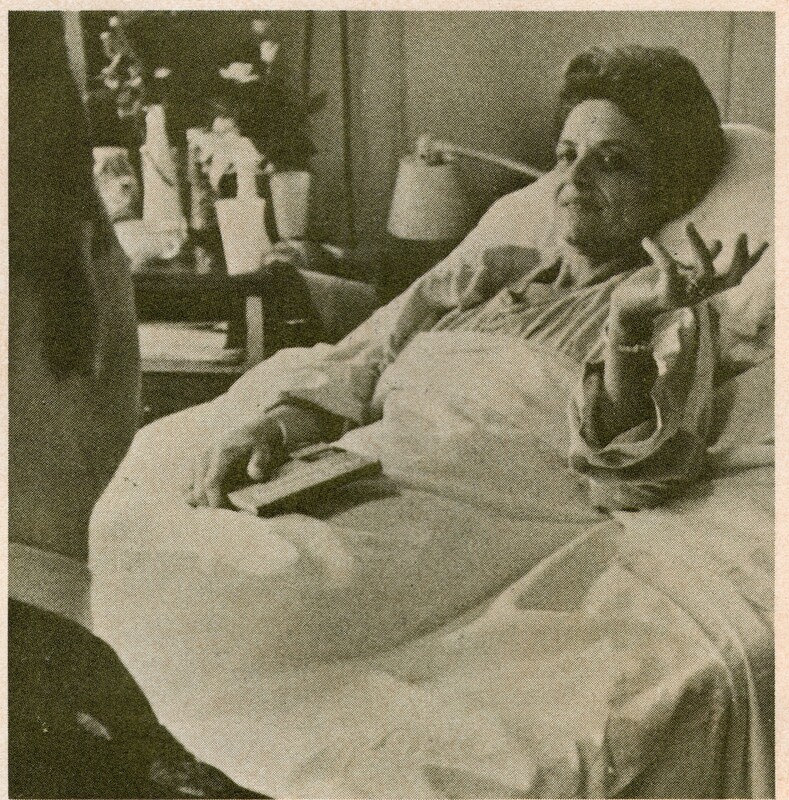 Fort Campbell’s center was opened in the summer of 1972 in Lee Village, an area which accounted for 60 percent of all the domestic disturbances on post. Located in a three-bedroom set of quarters close to the community’s center it was accessible to almost all residents of the village. 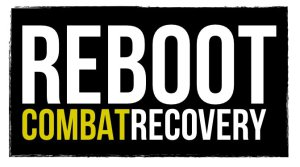 The program is one of both prevention and treatment. Working closely with center personnel are the Army Community Center, Army Health Nurse, Provost Marshal, Social Work Services, the Soldiers Service Center and a psychologist. The chaplain also serves as the community pastor and spiritual leader. Services are held in the community school auditorium. Since the center’s establishment there has been a dramatic decrease in the rate of disturbances and the post commander even has noted a definite improvement in the appearance of the village. 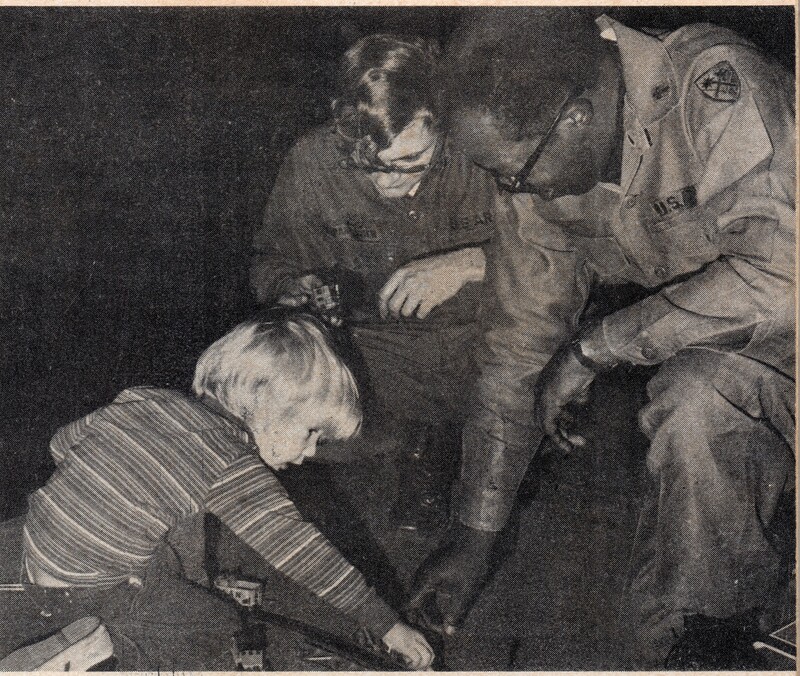 Throughout the last half of 1973 the chaplains conducted a Family Enrichment program, a model for future chaplain ministries and a service to post housing areas. Included in the program were a marriage counseling seminar led by Chaplain (lieutenant Colonel) Richard Nybro of Fort Benning and Dr. Clint Phillips of the California Studies Center in Los Angeles; retreats for teenagers, youths in grades 4 to 6, and families and classes on Transactional Analysis led by Warren Dale of the American Institute of Family Relations, Los Angeles, Calif. Another model program was developed around the theme of communicative arts. Individual Ministries. Still, with all this responsibility, it’s the individual, one-to-one relationship that pays off in the end. “The chaplain has grown and developed in the areas he needs most,” says Chaplain (Captain) John M. Allen. “But the chaplain who looks down his nose from his lofty perch, educational or otherwise, is going to have problems. But how do you reach this new breed of soldier? The chaplains have a great variety of ways. One uses a coffee house ministry, another has his office in the battalion headquarters with the door always open and still another tries the service club. “We started out in the service club some 18 months ago with a play and a discussion but since then the program has varied,” Chaplain Allen says. “We’ve had German wives sing German Christmas carols and tell of their customs, but mostly I guess it’s just “rap with chap.’ We’ve hit topics from abortion to Watergate but never limit ourselves to religious grounds, at least to start. After all, it’s pretty much a captive audience. Varied Appeal. 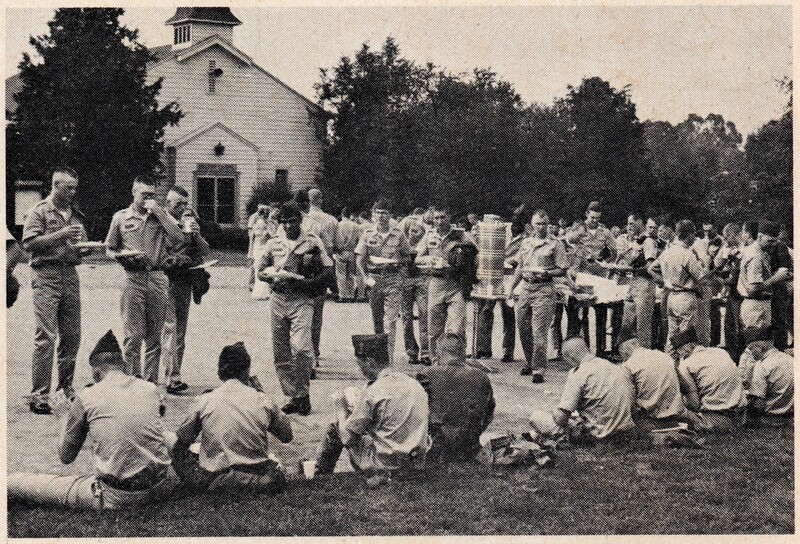 What kind of worship service appeals to the trooper in today’s Army? Some prefer a quiet liturgical service while others move right into a hand-clapping, foot-stomping, Jesus-praising, charismatic service. For Chaplain Bryon, music is the thing. He preaches less than 10 minutes a Sunday and draws an average of 450. Of course it could be the pretty girls in the folk-rock group who come in to lead the singing. It could be, except the chaplain gave away more than 3,000 hard-backed Bibles last year alone–and without coercion. He just leaves them on a table in the back. Many chaplains and parishioners believe there’s too much liturgy in the General Protestant Worship service, much passed along by tradition. But the fault lies, according to Chaplain Hyatt, not with the service but with the chaplain, for he is the one who designs it. Chaplains never compromise their faith or belief, but sometimes they must adjust their method or format to what their people need. This is especially true of the Jewish rabbis who must serve all the factions of their faith. My training is in the Conservative group,” says Chaplain (Captain) Aaron Michelson. “There are differences in passage selection and the ratio of Hebrew to English among our groups. Basically I look at the congregation, try to figure out who is there, and tailor the service accordingly. Why Not Civilians” The question always arises, “Why not use civilian ministers? Even from the House Appropriations Committee the question comes. “There is a very proper move on within the government to save money and the chaplaincy is as subject to manpower studies as is any other branch of the military,” says Chaplain Hyatt. “I think there should be cuts as long as they are not arbitrary without consideration to the soldier’s need. “It’s true the civilian clergy can fill the pulpit on Sunday and in some cases offer counseling, but what of the other responsibilities? What of the times when the troops see a chaplain in the field, an integral part of the military organization he is in? Here is the man they can rub elbows with. Here is a man who can help them cope. 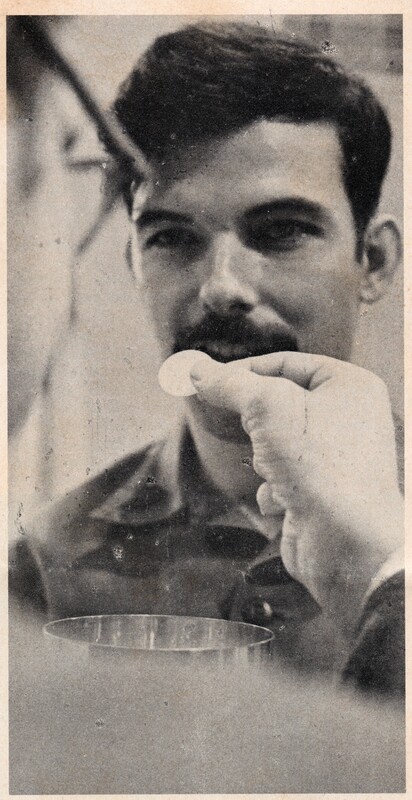 “Again, chaplains have traditionally helped soldiers in ways which are not thought of as spiritual. He is the man who can cut the red tape surrounding the soldier’s need for an emergency leave or a compassionate reassignment. What if the man is a conscientious objector or his pay is messed up or he has girl friend or wife problems? “Compare the ability of the Red Cross representative to get something done with that of the chaplain. How capable then is the civilian clergy to replace the Army chaplain? Ultimately, however, it is neither by law nor by tradition nor by the protection of the courts nor by the tolerance of the people of our nation that the chaplaincy gains its security and its real legitimacy. The only real validation of the Army chaplaincy must come from the Army chaplains themselves. 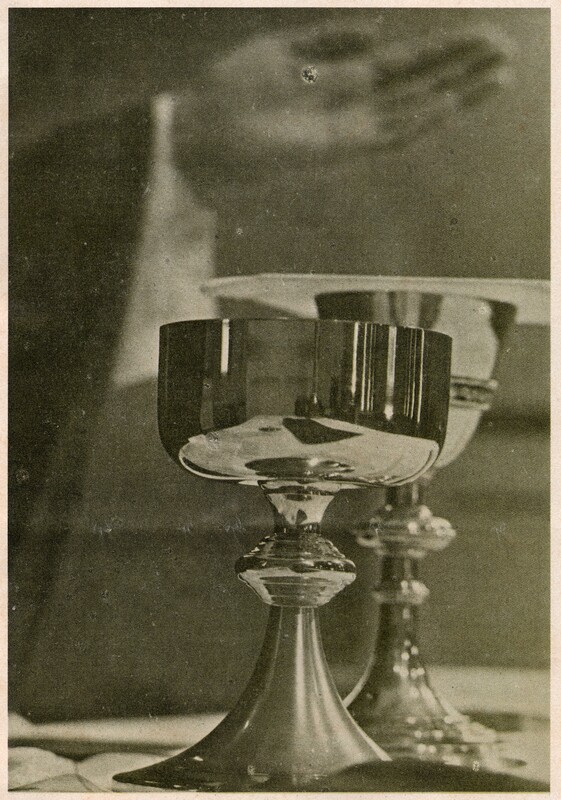 It must come from the chaplains’ personal integrity, from the chaplains’ evident concern for the members of the commands to which they are assigned as individuals and from the chaplains’ genuine love for people. The chaplaincy is secure as long as the chaplains are men of God in uniform. 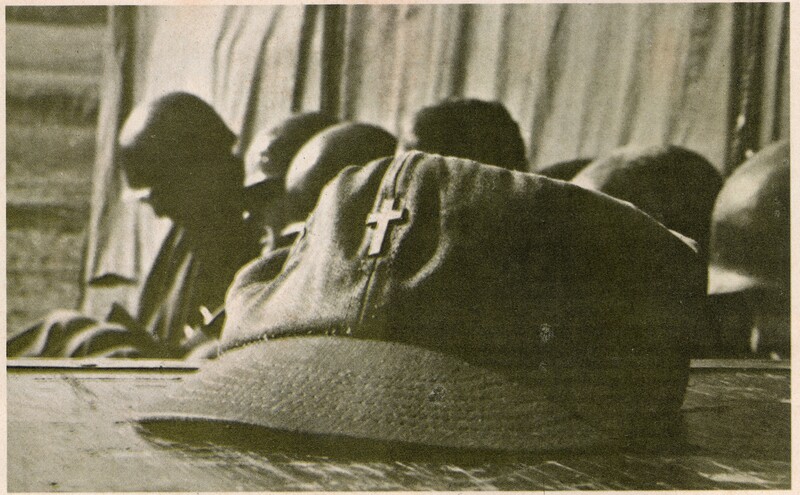 Article and photos from Soldiers, April 1974, pages 5-12 (author’s collection).